Covered in Stitches » Roll, Roll, Cotton Boll Quilt Top Completed! Roll, Roll, Cotton Boll Quilt Top Completed! 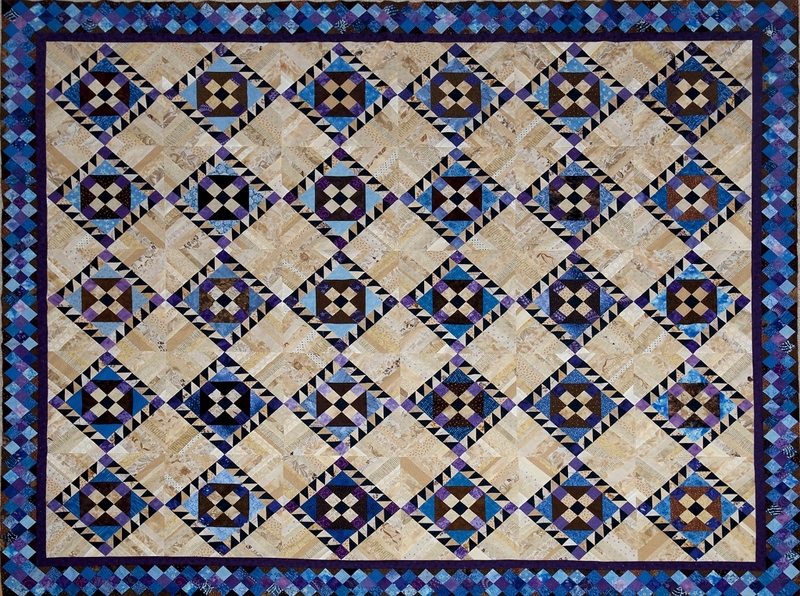 The 2010 Bonnie Hunter mystery quilt top – Roll, Roll, Cotton Boll – is finished and here it is. I really like how it turned out and am very pleased with my color choices. This one will need to go to a long arm quilter to be quilted – probably at the beginning of the new year – because of its size. It is hard to understand now why it spent two years in a box awaiting final construction when one week of serious sewing finished it. Oh, well I guess this is just one of the mysteries of the universe. 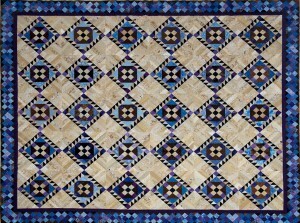 Now I can start gathering the fabric for Bonnie Hunter’s 2012 mystery quilt “Easy Street” next month. I plan on using the same colors that Bonnie used although the apple green fabric will involve a trip to the quilt store. There isn’t much of that color in my stash. The Jason Yenter red and green fabric arrived, so now the Christmas pineapple quilt top is going to be completed.